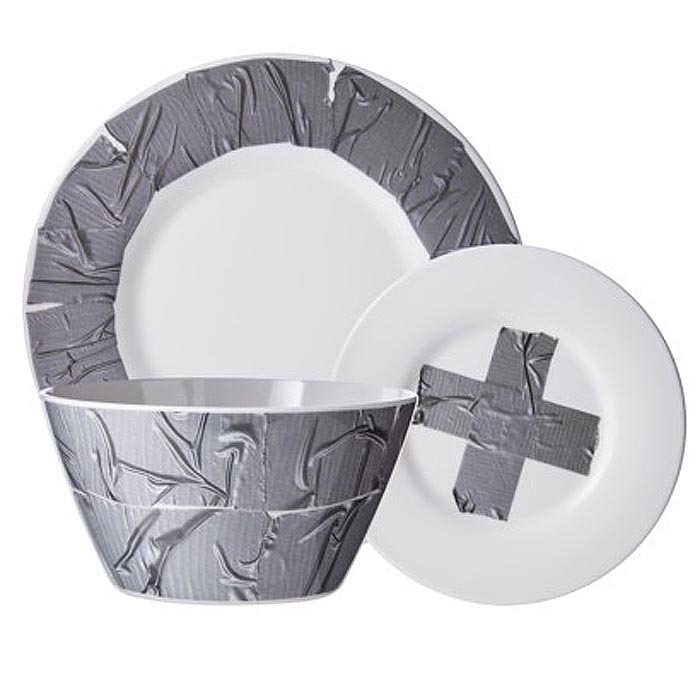 Googling around for stools, I came across these surprising tableware collections at Target as part of the TOO by Blu Dot series (yeah, I have no idea how you go from stools to plates, but that’s what happened.) I can’t really say that I “like” the Duct Tape Collection, but I do think it’s pretty unique and would be curious to see what they look like in person. 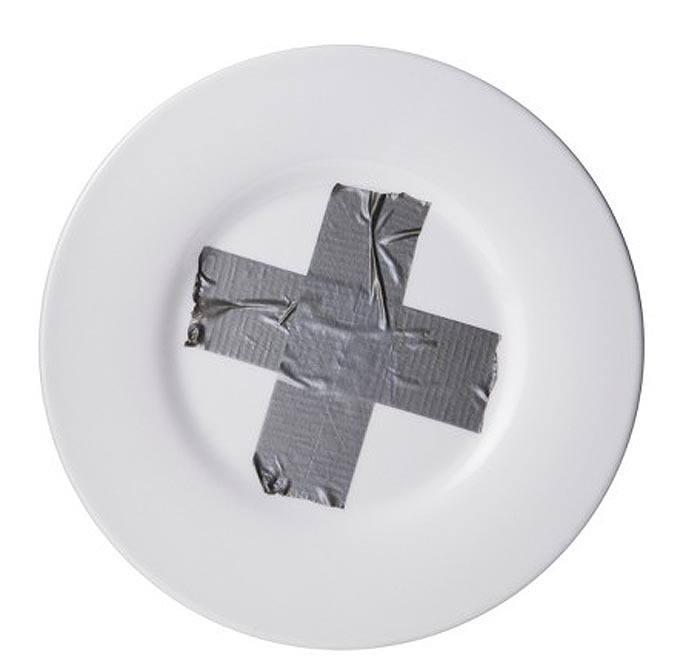 The Ruse Dinnerware plates are fun too with their drains in the center of each plate. There are also the Storyteller Dinner Plates which made me chuckle as well. In fact, the whole TOO by Blu Dot line of furnishings is worth checking out. I especially like that sideboard, though we already have something vaguely similar. And now I see how I ended up on the collection’s page; there are stools there after all! This entry was posted in Food, Fun, Industrial Design, Pop Culture, Stuff We Like. Bookmark the permalink.